Last weekend was a cold one, so we decided to stay indoors and have some fun with a couple of homemade fun recipes! First up, was homemade green slime! 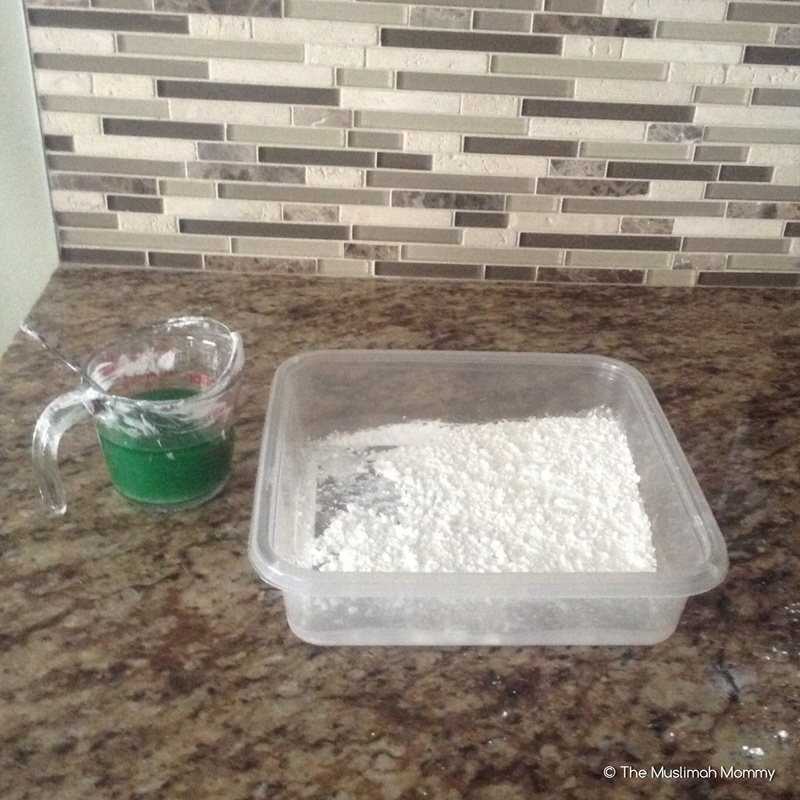 To make your own slime, you will need about a cup of cornstarch, a few drops of food colour (optional), and some water. Start by putting the food colouring into the water- I used about half a cup of water to start. Next, slowly pour the coloured water into the cornstarch and mix. Feel free to add more water into the cornstarch to achieve the right consistency- you want it to be really gooey! Next up, was homemade cloud dough! 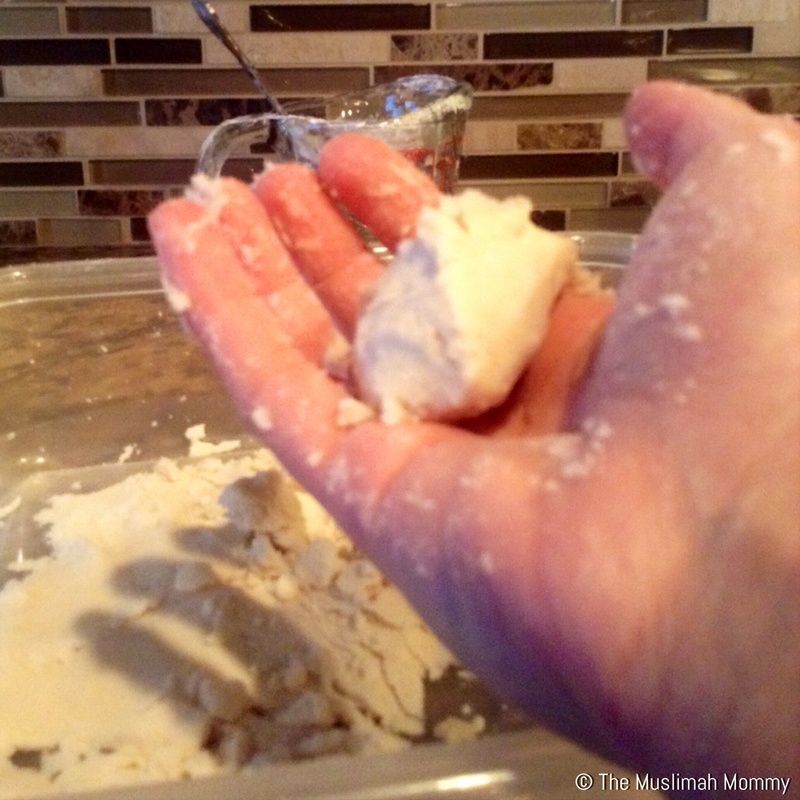 All you need to make your own cloud dough is about a cup of flour and some baby oil. We had tons of baby oil left over from when my youngest child was a baby, so this was a fantastic way to use what we already had in the home. Just like the slime, you will want to use as much as the oil as you need in order to obtain the right consistency. In this case, you want your dough to mimic wet sand; in other words, make sure the dough is soft, and that it can be moulded into any shape. Both of these homemade recipes are great for sensory play, and suitable for toddlers and older children. All three of my children, aged 2 1/2 to 7 years old, had tons of fun playing with both of these. A warning for parents and caregivers: this can get very messy! No joke, my youngest was COVERED in green slime and there was a trail of cloud dough all over the kitchen floor. 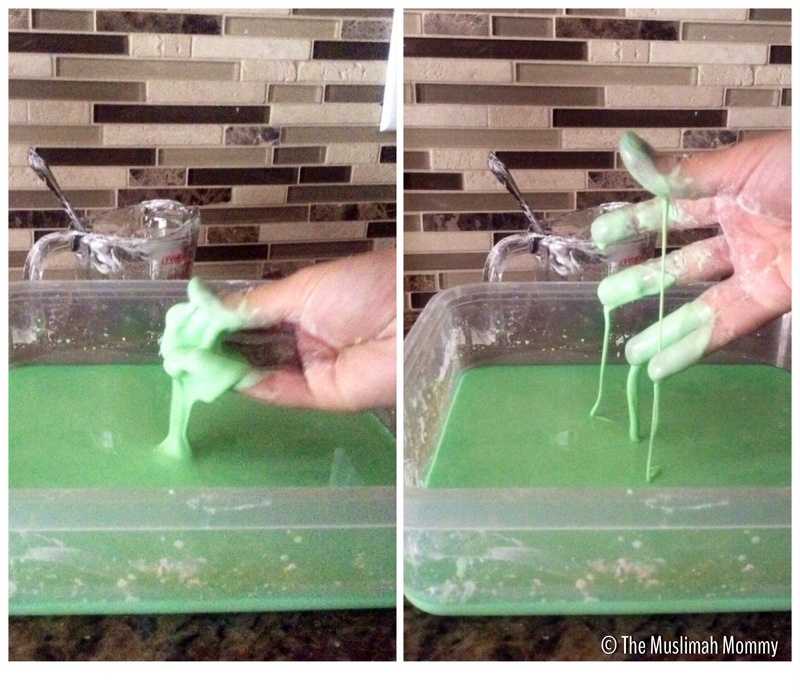 My children even had green hands after playing with the slime (the colour did wash out after about three washes). 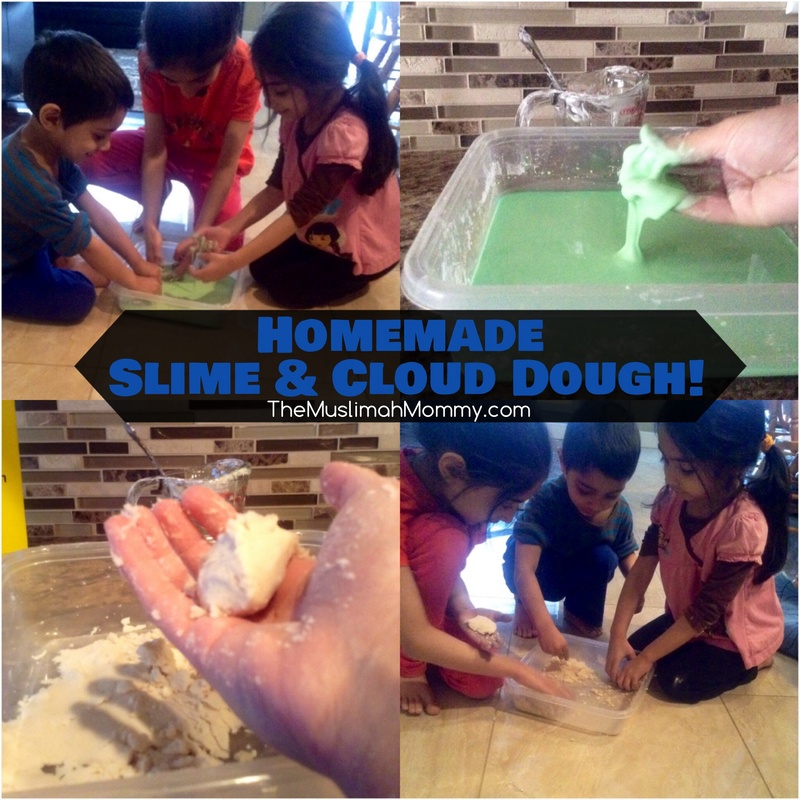 I’m really leaning towards letting the kids play with these homemade fun recipes outdoors, in fact the cloud dough would be a great substitute for sand in a sand box!